PATNA: Leaders are losing their calm and composure as the electioneering slowly picks up momentum in India. 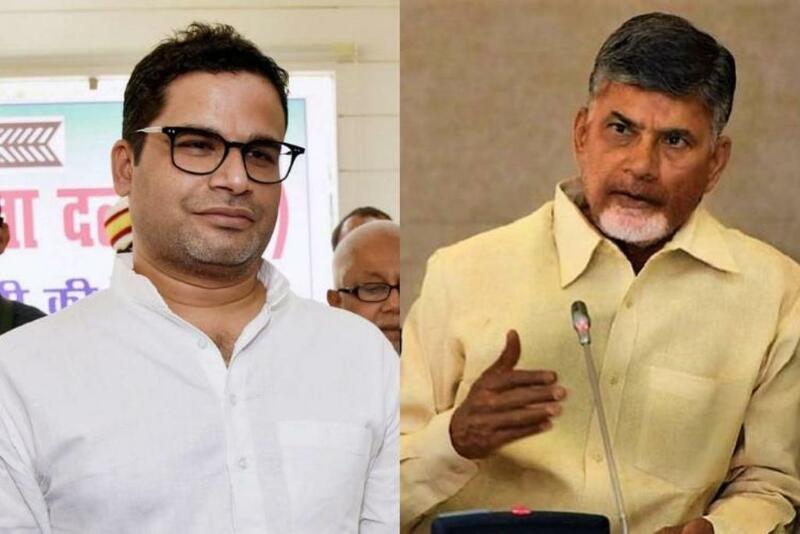 In Andhra Pradesh, chief minister Chandrababu Naidu crossed all level of decency when he called poll strategist and JD-U leader Prashant Kishor as “Bihari dacoit”. Naidu made these remarks while addressing a public rally in Andhra Pradesh where assembly polls are being held alongside the Lok Sabha polls. “K Chandrashekar Rao is doing criminal politics. He is grabbing the MLAs of Congress and TDP. Bihari dacoit Prasant Kishore has removed lakhs of votes in Andhra Pradesh,” Naidu told a rally on Monday. “ You saw the Form-7s. A man from Bihar came called PK. He’s a Bihari dacoit. There’s no law and order in Bihar. All these people are coming and are committing cyber crimes. They’re deleting our votes without us knowing,” Naidu alleged. Kishor who happens to be JD-U vice-president has described these remarks as result of sheer and used rather decent words to counter the AP chief minister. “An imminent defeat can rattle even the most seasoned politicians. So I’m not surprised with the baseless utterances of @ncbn Sirji rather than using derogatory language that shows your prejudice & malice against Bihar, just focus on why people of AP should vote for you again,” Kishor tweeted on Tuesday. Although Kishor, a poll strategist who has worked for many parties, is not directly involved in the AP poll campaign, his company is working for YSR Congress headed by Jagan Mohan Reddy which has irked Naidu.